The veritable wonderland of musical awesomeness that is Pepper Rabbit showed up on Folk Hive’s radar earlier this year, when they spent the summer as the tour mates of our favorites, Cotton Jones. Not to make this a post about the latter band but it seemed to us that finding a band to fill out the Cotton Jones bill (or vice versa) would be a challenge. At that time, there was nary an MP3 by any band that would seemingly fit alongside the Cotton Jones name on a concert bill. And then, look there folks! Pepper Rabbit! 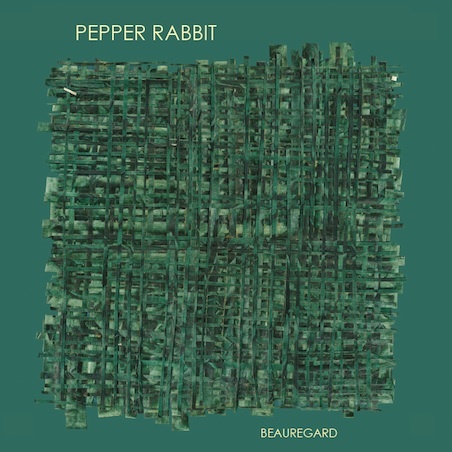 Pepper Rabbit’s latest offering, Beauregard, is out today on Kanine Records (also home to Surfer Blood, Grizzly Bear, and Braids) and if the two tracks we’ve heard from the album are any indication, the chilled out psychadelic pop of these two fellows will move quite a few asses and brains. Check out the jam entitled “Babette!” (nice use of the exclamation point, boys) below and pick up the album when you’re done. You’ll want to, I promise. And do yourself a favor: GET THE VINYL. BUY Beauregard over at Kanine Records.